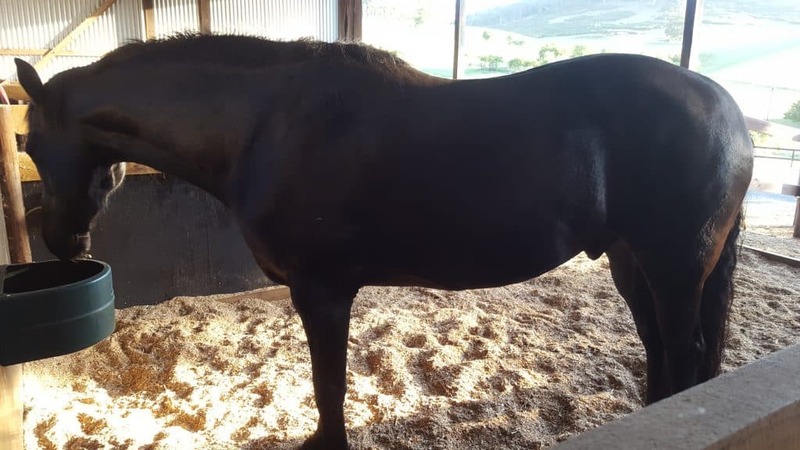 If you are interested in natural healing for Equine Metabolic Syndrome, Laminitis, Repetitive Hoof Abscesses and Bone Fractures, then read on …. 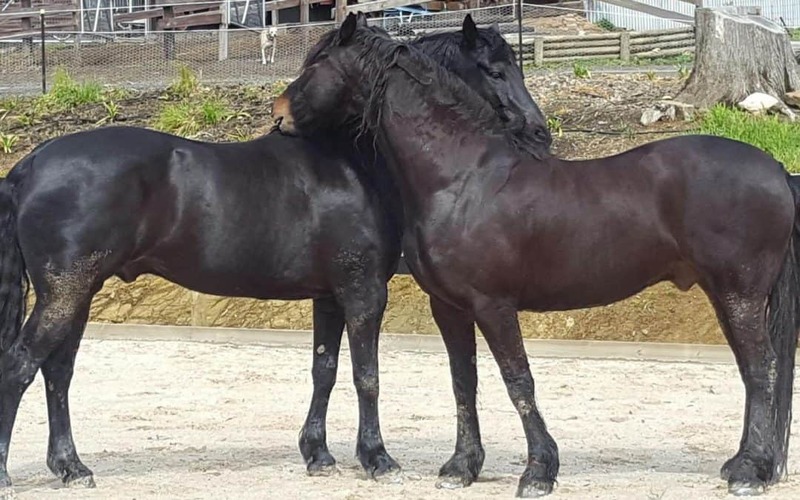 Janet Bouwmeester from Lobethal, SA, shares her story about her magnificent Friesian gelding, Gilly (Gramayre Giliad). 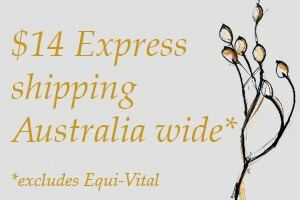 We moved to our property in the Adelaide Hills in September 2012. It was an ex dairy with a high rainfall. Consequently we had very lush rich grass. All my previous horse agistment has been on the plains where horse keeping was a very different experience. Boy did l have a lot to learn! 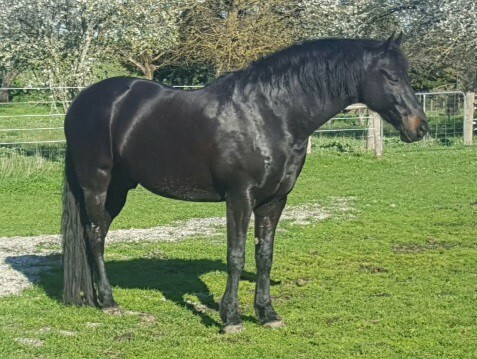 We had 2 unbroken young Friesian horses who are both very good doers.The first time l felt something wasn’t quite right with Gilly was New Year’s Eve going into 2013. He wasn’t lame but just off. I called the vet who diagnosed colic which didn’t seem right to me as he was eating and manuring normally. We changed vets. Off and on over the next couple of years Gilly seemed slightly off at times and short in his stride and the vet thought he had an abscess brewing. We would poultice a lot but no real bursting of the abscess resulted. We had our horses trimmed every 4 to 6 weeks and finally our farrier said Gilly had stretched laminae on both front feet. July 2016 Gilly was lame in his right fore. Our farrier retired earlier that year and my partner Tristan went to learn how to trim our horses’ hooves. He trimmed under his guidance until the farrier felt he was right to continue on his own. I noticed Gilly’s front feet were looking long in the toes. Gilly was not lame at this time. I was struggling to get weight off him. He was very cresty with fat deposits and a huge sheath. Tristan didn’t know what he was doing wrong so we sent photos to our retired farrier and he came out on 25 September. He said Gilly had low grade laminitis and trimmed his feet. He recommended we get some bute as he would be a bit tender after the trim and get Gilly into work to help get weight off him. My vet wanted to see Gilly before giving me the bute, he came out on the 27th and also diagnosed low grade laminitis. 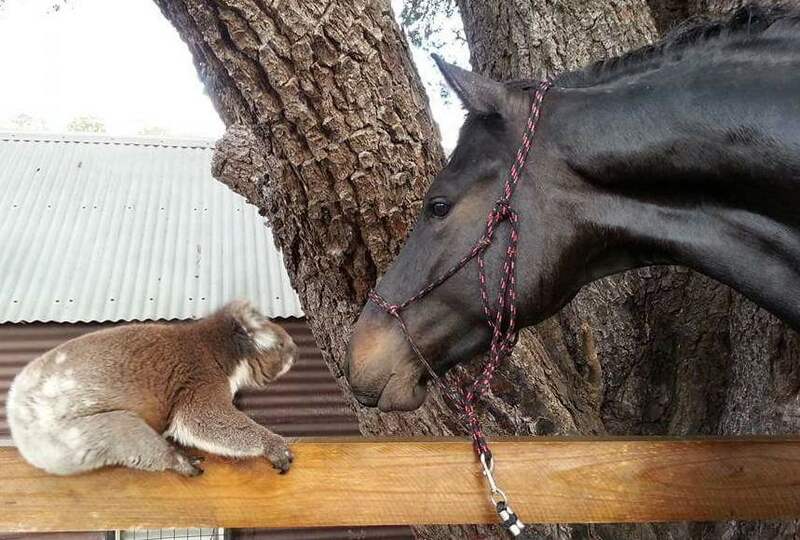 He called his specialist farrier to come and have a look at him. September 30th the specialist farrier came out. He did a radical trim and advised Gilly would be sore and to keep him on the bute and on the sawdust. The next day Gilly was very sore, lame and miserable. We called the vet who came and recommended we put shoes on. The specialist farrier was unable to come so we called our retired farrier who came out. He shook his head and said it was too radical a trim and popped some aluminium racing plates on. Gilly was much more comfortable immediately. We kept Gilly on our arena and he was moving really well. This is where Victoria came in. A friend recommended her. I filled out her questionnaire and she formulated a diet for both my horses. Victoria rang me and said Gilly would benefit from her metabolic mix as we struggled to get weight off him. We started him on a syringe of her prescribed herbal mix over the tongue twice a day. On the 8th October Gilly was very lame again. The vet came and did some xrays. He found an avulsion fracture and 1% rotation of his pedal bone. By this time we had managed to get 20 kg weight off him since September by soaking his hay and starting him on his VF natural diet and metabolic mix. Our vet recommended box rest for 6 weeks. Victoria made up another herbal mix to accelerate the healing of the fracture. About this time l also mentioned how Gilly had a history of unresolved abscesses so we also started him on Victoria’s blood cleansing mix. He was now on three different mixes twice a day which he really liked! On November 5th l came home from work to find Gilly rearing and buck jumping in his stable and obviously feeling fabulous. I rang my vet and he said he could go on the arena during the day. We led him down and let him out. He was sound! 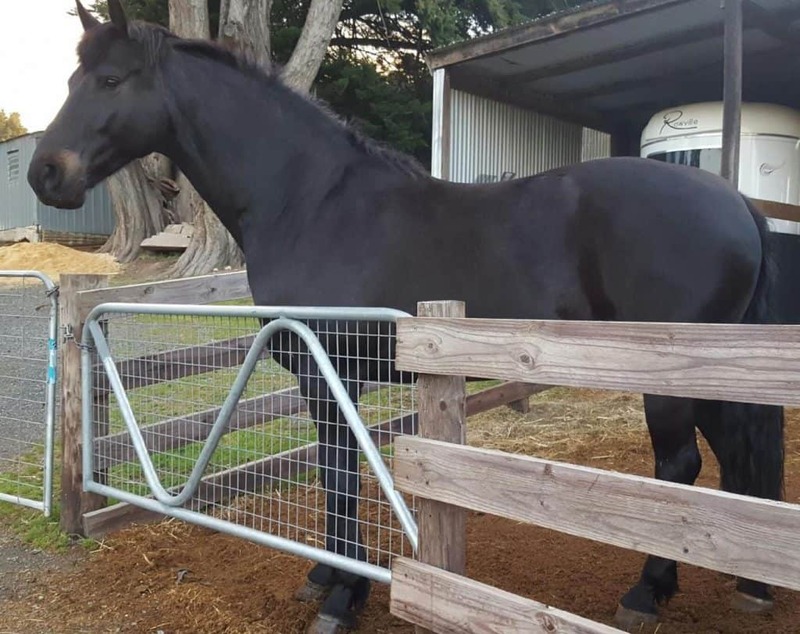 On November 15th we used the specialist farrier to remove the shoes and trim Gilly. We told him how lame he was after his last trim. Gilly was a bit touchy on hard ground but still sound on the arena. Things were looking up. As there was no shelter in our arena we allowed Gilly onto our safe area with our other Friesian Max and our two donkeys. Everyone was off the grass as it was too lush. He remained sound and was still losing weight until the 4th of December where l found him dead lame again. Out came our trusty vet who suspected an abscess, which Victoria had warned would be a result of the blood cleansing mix. We poulticed for 8 days and eventually it burst at the toe. Gilly remained slightly off on that hoof. We decided to take Gilly to an orthopaedic surgeon to get a second opinion. We floated Gilly there on the 3rd January 2017 for X-rays. He had a slight rotation of his pedal bone as we already knew but there had been some improvement since the previous X-rays. The fracture was healed so it was just the laminitis we were dealing with. We were impressed that the fracture had healed so quickly. On January 24th Gilly was again lame but still weight-bearing. Victoria always thought he must still have a huge unresolved abscess that should either burst once and for all and/or be resolved through the bloodstream. We were soaking and poulticing again. Gilly was getting worse and had stopped eating. He also had a slight temperature. His abscess burst out the top of his coronary band. But he was still in so much pain even after it had burst and was barely eating. 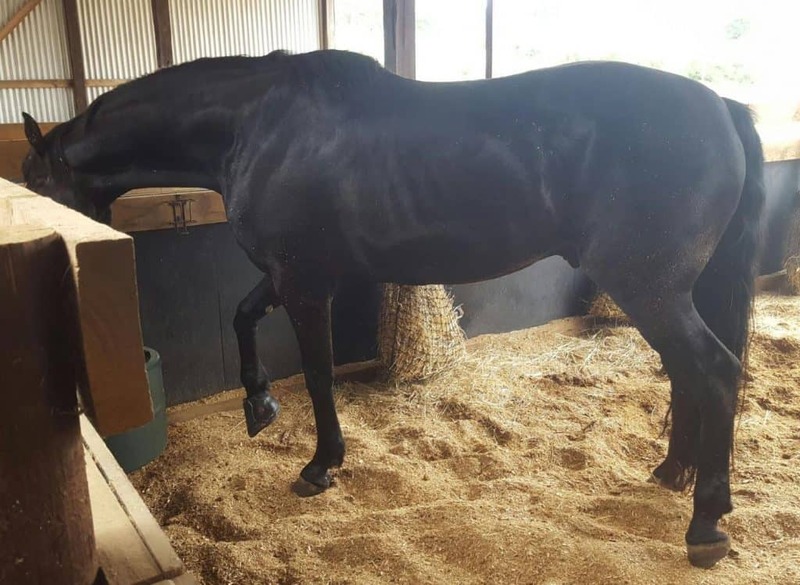 He was spending most of his time lying flat out in his stable. For the first time l was scared we were going to lose him. Our vet came out and said it must have been one hell of an abscess. Gilly remained on the ground for two weeks. Our Maremma pup stayed by his side the whole time keeping him company. We hand fed and watered him. Tristan and the donkeys also spent a lot of time with him. On the 31st January our vet came and X-rayed Gilly again. Bad news. Victoria was right it was a big abscess. It was so big it had taken out the remaining intact lamina and Gilly had foundered. His pedal bone had sunk and rotated further. This explained the pain he was in following the rupture. Victoria started him on a hoof repair formula to encourage the quality and rate of hoof growth. He was also on devils claw and meadowsweet herbs for pain relief. We continued on with his weight loss program, herbal treatment and regular trimming and Gilly started to heal and improve. He by this time had stopped his metabolic and blood cleansing mixes. His weight was perfect. His crest was gone. He looked amazing. In May we decided it might be time to pop some shoes on him to get him through the last stage of his recovery. He had unattached lamina from the toe abscess to the where the coronet band abscess was. We were recommended a farrier. He wanted recent X-rays before trimming and shoeing him and he wanted them done by the orthopaedic surgeon we saw in January. We floated him down to the clinic again. The coronet band abscess hole was about 5cm lengthwise and half way down his hoof by this time. They loved his weight loss. They did several X-rays and said things were really bad. He had a 2 degree rotation and they thought an infection in his pedal bone. The prognosis was poor. We were devastated. We thought he was improving. They took blood to test him for metabolic syndrome and insulin resistance. We were given oral antibiotics, vasodilators and aspirin to give him to fight the bone infection. We drove home shattered. I rang Victoria and she said to stop all her treatments while he was on all that medication. She also said that this diagnosis just didn’t make sense because he was sound. Two nights following the vet visit Gilly stopped eating. I thought it was due to all the drugs in his feed. I rang the clinic and they suggested mixing the antibiotics and syringing them into his mouth. Gilly refused to eat. The next morning we were very concerned. He was also scouring slightly. I rang the clinic again and spoke to the vet who said he might be having a reaction to the antibiotics and to stop all drugs. He also had Gilly’s blood results. He was negative for EMS and IR. In fact his blood sugar levels were low. Good news! No improvement the next day but the vet said it would take up to 48 hours for everything to be out of his system. The next morning Gilly was worse l took his temperature and was horrified to see it was 41 degrees. I checked it again then rang the on call vet at the clinic (yep it was Sunday). Lucky it was the vet we’d seen. He said Gilly was very sick and thought it was due to the bone infection. He suggested we bring him in to the hospital. My partner Tristan who had been positive and strong through everything crumbled. We sat on the stable step and wept. We were going to lose him. We decided if he was going to die it would be here at home and not at the vet clinic. On Monday Gilly started to drip fluid from his nose. I rang my normal vet who said he’d just seen a horse with the exact same thing. I felt a glimmer of hope. He came over later that night. He thought it was a virus and he had nasal oedema because of the high temperature. Gilly started to improve the next day. It was apparent he had contracted a virus at the vet clinic. July 2017, we are still using the hoof repair mixture, he’s looking terrific on his VF diet and best of all he’s sound. The abscess hole is now 2cm from the ground. We are still using Victoria’s extreme makeover hoof oil in the abscess hole to prevent bacterial and fungal infection and we are hopeful for a full recovery. I really believe Gilly had metabolic syndrome before the herbal treatment. He had all the signs. We went away for a short holiday and left Gilly and Max in the care of our stalwart vet. On our return on 12 August, we were absolutely delighted to get the go ahead to put Gilly onto a return to work program. He is absolutely loving it and so are we. Victoria was with us every step of the way, through the highs and lows. She always only a phone call away for her valuable opinions or just for emotional support. I can’t thank her enough. Every time we thought we were really making progress, another loop would be thrown at us. Unfortunately the first one was caused by a too radical a trim, the second one was a mis-reading of an X-ray, the third one a misdiagnosis of bone infection, which when Janet phoned me to tell me, I was about to admit defeat. The fourth one was caused by Gilly contracting a virus at the vet surgery , and I firmly believe that if it were not for his immune system being so strong from his natural feeding and months of herbal therapeutics, containing immune stimulating herbs, he would not have recovered so quickly. 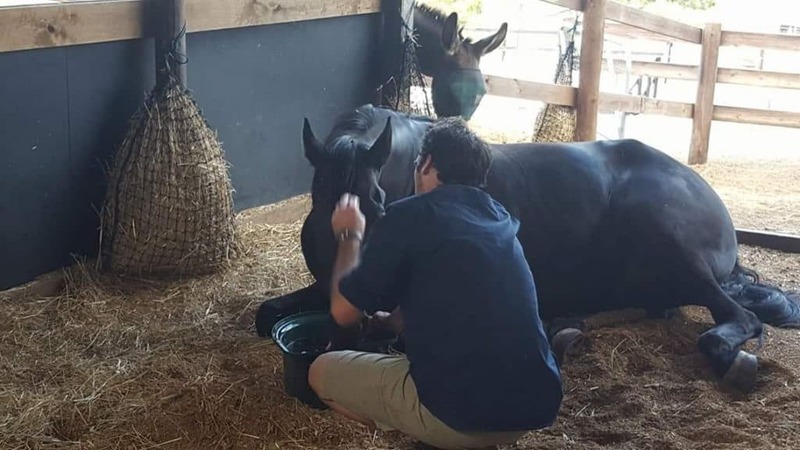 I also firmly believe that if it had not been for one very practical broad minded and experienced vet, who was always there to pick up the pieces, and who was also supportive of my herbal therapy, there would not have been such a happy ending to this incredible story. Gilly has a big heart and Janet and Tristan are the most devoted and caring horse owners.